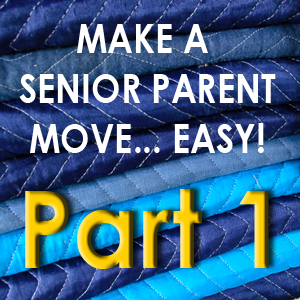 Making a Senior Move Easy - Pt 1 | Cummings Moving Co.
Moving a senior parent can be an especially emotional time for everyone. Senior parents and adult children alike may find it a highly charged and stressful experience. In our experience, a good plan can make all the difference. There are any number of catalysts that could spark a need to move your aging parent; sometimes it can be sudden. Frankly, in order to do each scenario justice would require a year’s worth of posts. In coming months, we will address some of the important things we have learned along the way. Whether downsizing from the family home or moving into an assisted living facility, in this two-part post, we aim to provide you with information that you will find useful as you move your aging parents. Sorting & Purging – Decide what will stay and be moved vs. what needs to be sold, donated, recycled or discarded. It helps if this can be done well ahead of packing and the actual move. Emotions, and a general reluctance to let go, may make this a slow part of the process. It is generally best if this can be done in a more gradual, less overwhelming way; one room at a time and over the course of a few months. Doing it this way can set things up for a much easier move, because your Mom or Dad will have time to more fully process the transition. 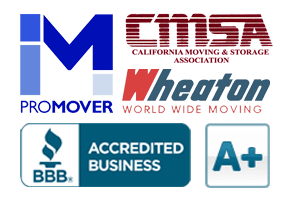 Donation & Sale – Physically remove items from the home for donation or sale, and handle the logistics that go along with that. If there is an area of the home, where items for donation and sale can be neatly piled, that’s helpful. If there is, the person in charge of donation & sale can work more autonomously and either chip away at removing things, or plan to handle it all in a weekend. It can be done as their schedule allows. Look for a local consignment store for furniture items, check the reputation of the auction house or antiques dealer in advance… and remember to collect donation receipts! Packing – Work with your Mom or Dad to pack things in a way that make sense to them. Create a system that will help them unpack and settle into their new home more easily. Give it a Google, there are all sorts of great moving systems out there for the DIY-ers in the crowd. It is best if this person is patient, organized, and has good handwriting or great computer skills! Well-packed contents, and well-labeled boxes make for an easier move experience. Look for moving apps that help you list contents and label boxes. Or, you could always ask your moving company to do the packing for you. It really helps to reduce the stress! Important Papers, Medical Information, Prescriptions and Medical Needs – Partner with the parent to make sure that all important financial papers, bills, doctor information, valuables, etc. are close at hand, well organized and secure. This person would also help move the bank account and safety deposit box, and make sure that utilities are shut off and, as needed, new utility accounts set up. For obvious reasons, it helps if the person working with your parent on this task is patient, detail oriented and well organized. Remember to return the cable box! Click here to view Part 2 of this two-part article.